Handmade ornaments have always been special to me. My tree is filled each year with the beautiful creations from friends and those ornaments I have happened upon at craft fairs and other places. Memories are evoked by each one as I hang them on my tree. Some are simple and some more elaborate, but they are all precious to me. 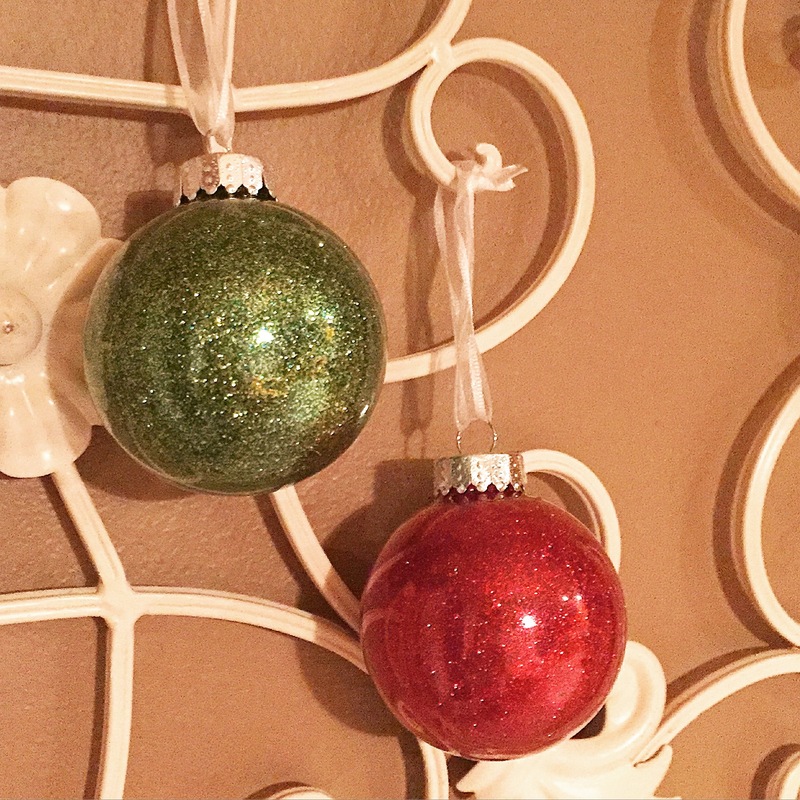 These glitter ornaments are so simple to make and will add a little touch of bling to your tree. And because the glitter is inside the ornament you won’t have sparkles all over your house! 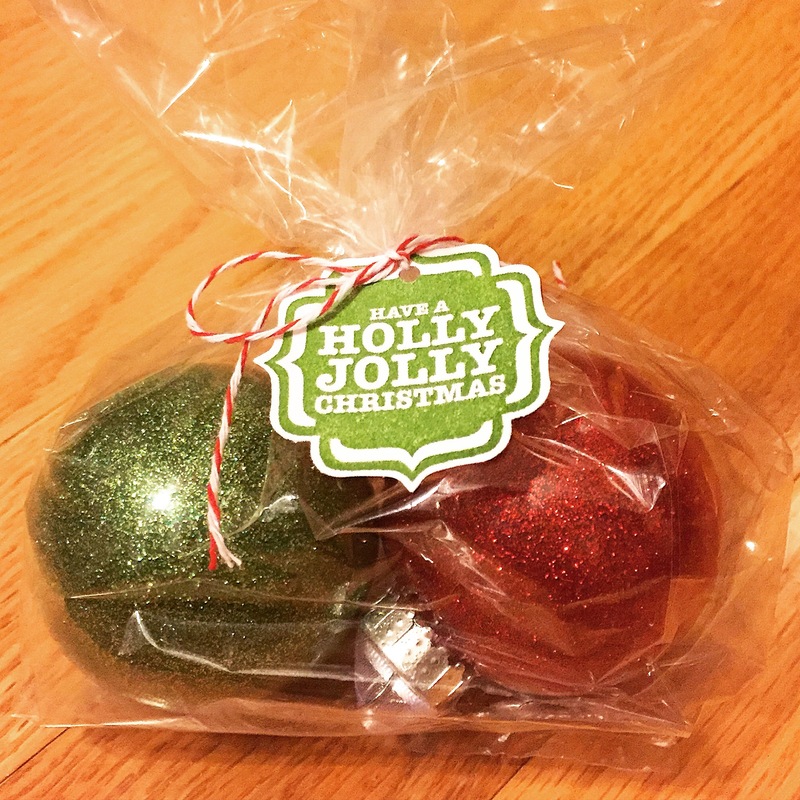 To make these you’ll need some clear glass ornaments and fine glitter in your choice of colors – both available at your favorite craft store. The secret to making these is clear floor wax. That’s right, floor wax! I found this brand at Target, but any brand will work. Take the metal top off the ornament and pour in some floor wax. Swish it all around to cover the entire inside of the ornament. Pour the excess back into the bottle. Using a funnel, immediately pour some glitter into the ornament and shake it until the inside is covered. Pour the excess glitter back into the jar. Then just let it dry. 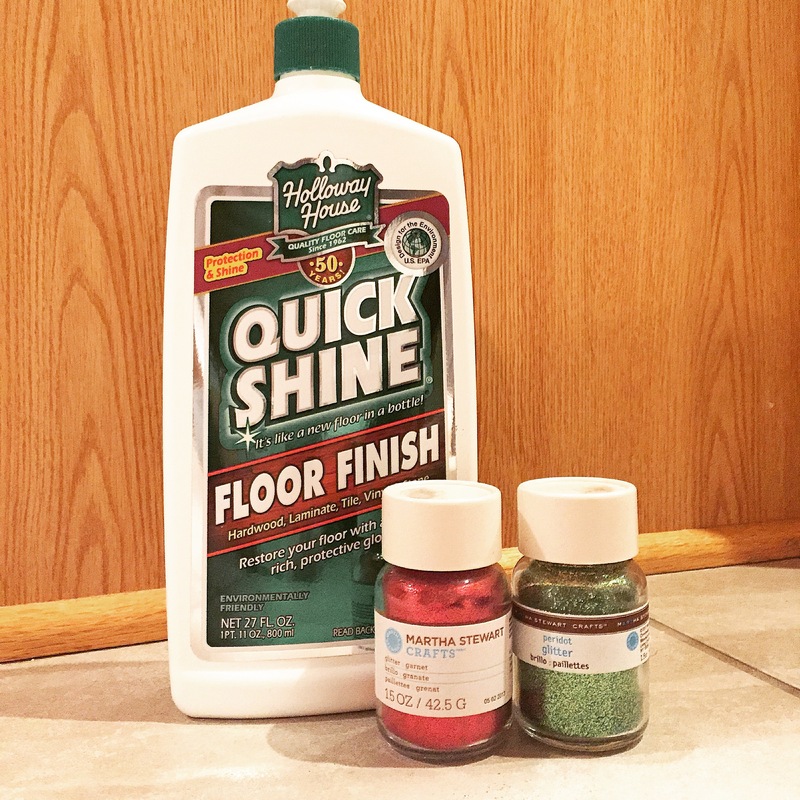 You might want to shake the ornament over a container after it has had a chance to dry to remove any loose glitter. Put the metal top back onto the ornament and attach a ribbon for hanging. Or leave the ribbon off and fill a bowl, hurricane, or lantern with them for a beautiful addition to your Christmas decor. I packaged these up with a cute little tag to give as gifts. This would be a fun family project to make for teachers, neighbors, family, and friends. You could also personalize them with initials, words, or other stickers. Find your favorite colors of glitter and just have fun! This entry was posted in Christmas, Decor, Gifts. Bookmark the permalink. These look cute and easy!! May have to try! They are super fast and easy! !